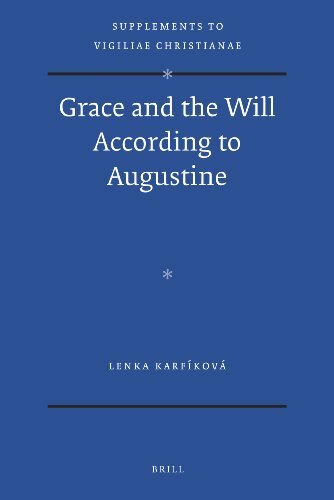 The doctrine on grace, one of the most discussed themes in his later years, was regarded by Augustine as the very core of Christianity. This book traces the gradual crystallisation of this teaching, including its unacceptable consequences (such as double predestination, inherited guilt which deserves eternal punishment, and its transmission through libidinous procreation). How did the reader of Cicero and "the books of the Platonists" reach the ideas that appear in his polemic against Julian (and which remind one of Freud rather than the Stoics or Plotinus)? That is the point of departure of this book. It surely cannot be expected that there is a definite answer to the question; rather, the aim is to follow and understand the development. Lenka Karfíková, Dr. theol. (Eichstätt 1997), is Professor of Philosophy at Charles University, Prague, Czech Republic. Her main publications are De esse ad pulchrum esse. Schönheit in der Theologie Hugos von St.-Viktor (Brepols, 1998) and Gregory of Nyssa: Contra Eunomium II (Brill, 2007).